1,500 lbs. capacity RAM sidewind bolt-on swivel trailer jack zinc coated with dual 6" casters. 13 travel, 20 extended, 7 inches retracted. This is our swivel trailer jack. 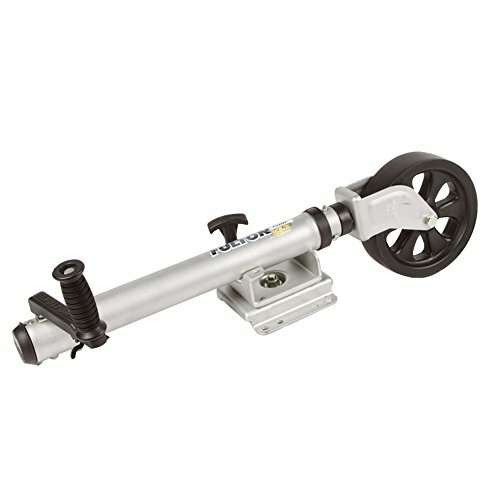 This convenient boat trailer jack is easy to turn and has greater stability thanks to its wheels. The wheels can swivel 360 degrees for easy maneuvering of loads of up to 1,500 or 1000 lbs. This easy-to-operate trailer jack also eliminates the hassle of removing the jack - just fold it back and away Mounts permanently to trailer tongue - folds away when traveling. It will be of great help for moving your boat. Do not hesitate, just buy one! Package include: 1 x dual wheels boat trailer jack. Large Weight Capacity The maximum 1500 Lbs bearing capacity helps easily raise and lower any trailer. You can safely use it. 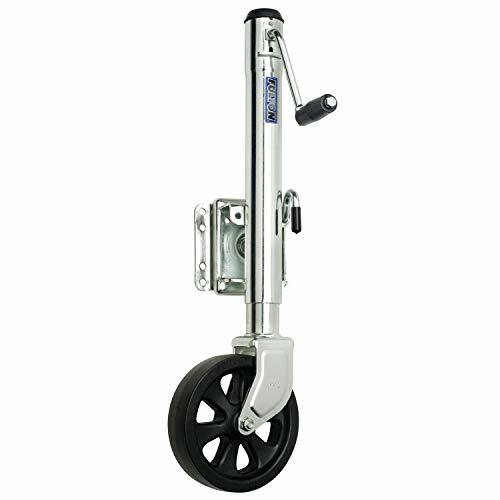 Glide Easily Sturdy 6 wheel swivel 360 , easy to turn and has greater stability, it provides low-friction mobility and helps you easily move your trailer into position. Highly Controllable Max lift height: 26 7/8 and the Min lift height: 14 1/2, it can be adjusted according to specific operation requirements. Easy to Operate This trailer jack eliminates the hassle of removing the jack, just fold it back and away mounts permanently to trailer tongue-folds away when traveling. High Quality and Durable Heavy duty steel construction and clear zinc finish for corrosion protection ensure that it can be used for a long time. 1,500 lbs. capacity RAM sidewind bolt-on swivel trailer jack zinc coated with dual 6" casters. 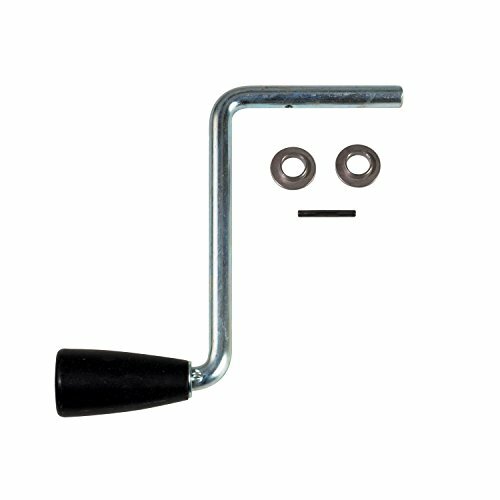 Includes a large 1/2" pull pin to activate the swivel mechanism. Large comfort handle. Includes deep seated snap ring for side load support. Durable clear zinc finish. Comes with all mounting hardware and fits up a 3"x5" trailer frame. Ideal for use with boat, sport craft, snowmobile, and other recreational trailers. Includes a large 1/2 pull pin to activate the swivel mechanism. Includes deep seated snap ring for side load support. 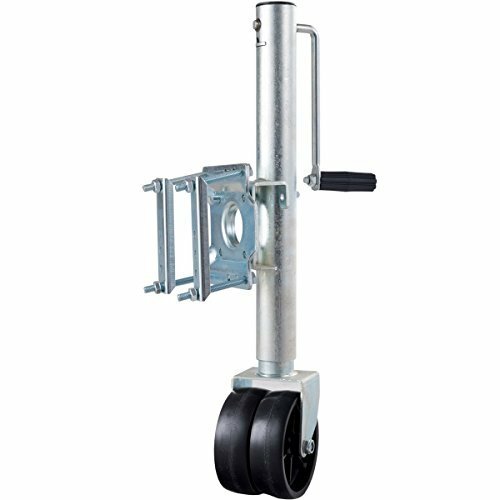 Features: Dual wheel caster, heavy duty, Fits A-frame jacks with 2" diameter tube; Wheel diameter: 6"; Zinc plated, can be used on boat trailers; Capacity: 2,000 lbs; 360 degree swirl; Lock pin included. 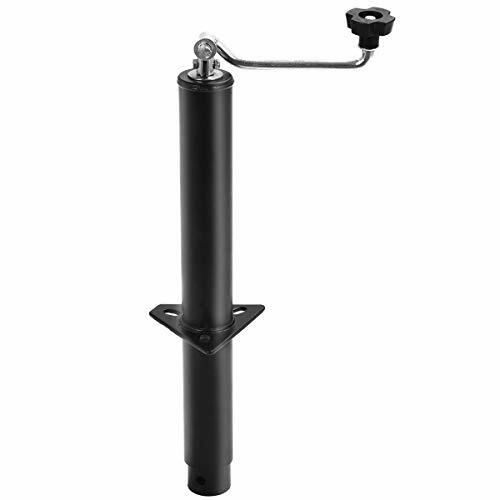 The SeaSense Easy Lift Jack lifts and holds boat and camper trailers and other single axle vehicles with wheels. The side crank, swivel trailer jacks features dual locking pins for strength. Fits on tongues up to 3" x 5". Large all-terrain wheel makes travel easy and durable. Includes a built-in grease fitting for long lasting smooth performance. Galvanized hardware included. MaxxHaul trailer and farm jacks are perfect for all your recreational, marine and farming applications. Heavy duty zinc plate or powder coat finish insures durability against the elements. 2,500 lbs. capacity RAM fixed mount bolt-on zinc heavy duty drop leg trailer jack with foot. 2,500lbs. capacity RAM fixed mount bolt-on zinc heavy duty drop leg trailer jack with foot. Comes with all mounting hardware and fits up to a 3"x5" trailer frame. Comes with all mounting hardware and fits up to a 3x5 trailer frame. Price For: Each Includes: 5/8 In. 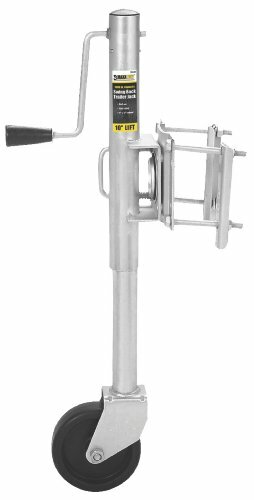 Pin and Chain included Overall Height: 26.9" Mounting Brackets: Weld-On Tubular Mount Base: Detachable Footplate Load Capacity: 7000 lb. Gear Travel: 10 Static Load Capacity: 7000 lb. Handle: Sidewind Retracted Length: 16.9" Construction: Steel Max. 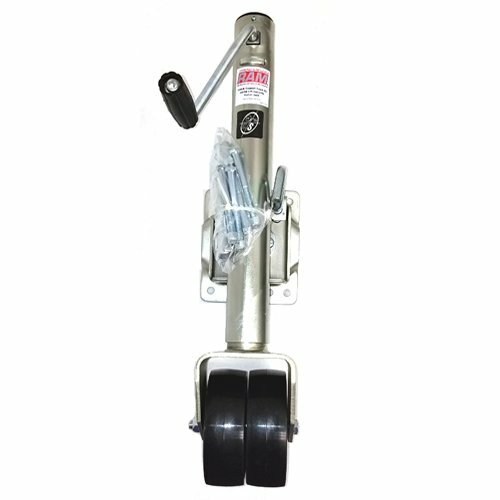 Lift Height: 1 ft. 8-1/2" Finish: Painted Outer, Clear Zinc inner Lift Range: 10"
This is our trailer swivel mount jack. It has 1000 lbs capacity with 10 inch lift range. The side mount swivel jack is easy to use, just pull pin, swivel into position and release pin for auto locking. 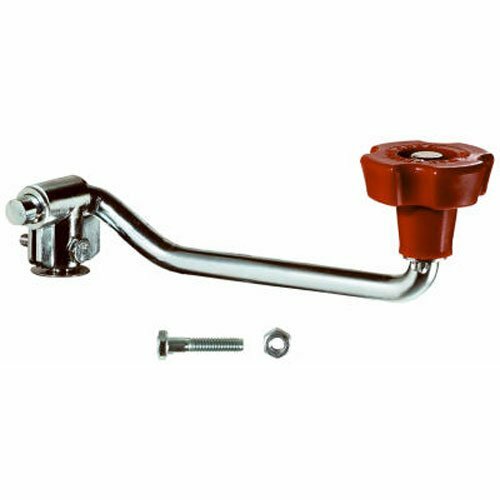 The side wind crank handle has a 1 to 1 gear ratio that provides fast and easy operation. The jack mount fits 3 to 5 inch trailer tongues. Durable Steel Construction This trailer jack is made of heavy duty steel with zinc coated finish for corrosion protection, durable construction and superior material insures its long-term service lifespan. 1000 Lbs Capacity Item holds up to 1,000 lbs, it is ideal for marine, RV, boat and so on. Product Weighs 13 lbs. Fit Tongues Up to 3'' x 5'' Hardware is included, item fits trailer frames up to 3'' x 5''. 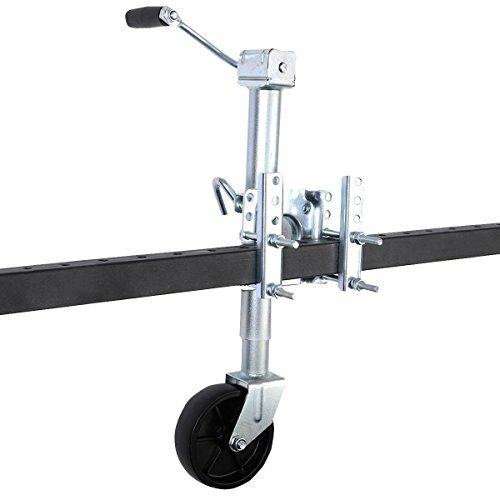 6'' Wheel This trailer jack includes a 6'' wheel and an ergonomic designed handle to move your trailer into position for easy hook-ups. 1 : 1 Side wind gear ratio provides fast and easy operation. 100% Warranty We offer you 100% risk-free satisfaction guarantee to let you buy with confidence. We are quite sure that you will be super-impressed with durability and high quality of our trailer jack. Bulldog Trailer Jacks are the unquestionable leader in the trailer industry. Since 1919, Bulldog has been manufacturing the industry's most trusted products for heavy duty applications. Whether it's for livestock trailers, utility rigs, or cargo haulers, every rugged and proven Bulldog product is certified ASABE S485 compliant - the "gold standard" in proven performance for telescopic screw-type jacks. 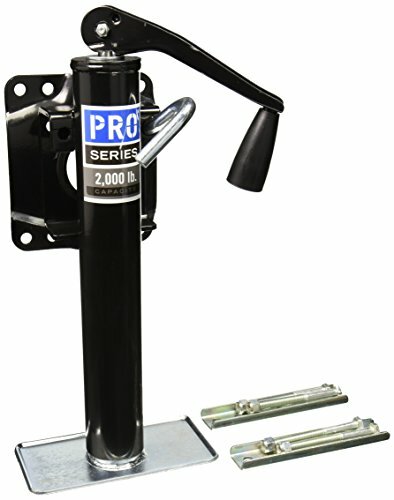 Bulldog Trailer Jacks offer you proven quality, performance, and versatility. Our wide range of products has you covered whatever your application. When choosing a trailer jack, it's crucial to be sure you've picked the right equipment for your needs. Our Bulldog Round Jacks offer you proven performance for supporting lighter loads during coupling and uncoupling and for stationary support. Bulldog Square Jacks and Heavy Duty Square Jacks provide the right combination of medium-and heavy-duty support during coupling and uncoupling, and when storing your trailer. For heavy-duty loads where a combination of speedy operation and a variable cranking ratio is needed, Bulldog 2-Speed Square Jacks are a good solution. Rack and Gear Jacks are stability and support for higher tongue weight trailers. They also offer a convenient way to position your rig on the drive or the work site. Bulldog also offers a wide range of accessories and replacement parts to keep your rig operating at peak performance. Be sure to check out the Bulldog jack that fits your application, weight rating, and features. No matter what equipment you choose, you can rest assured that Bulldog legendarily rugged performance pedigree is built into every product we manufacture. 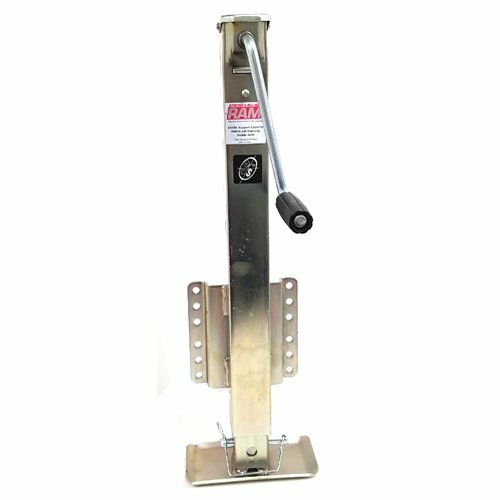 This a-frame tongue jack allows you to either unload or load the trailer from your hitch. 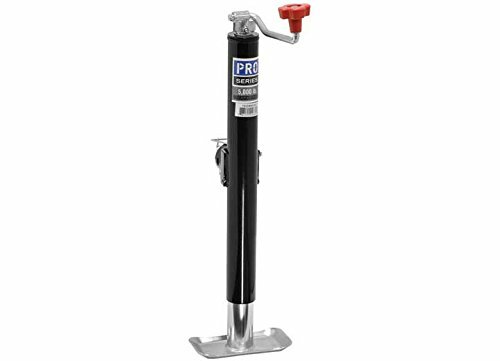 Sturdy and durable, the tongue jack is widely used for boats, RV's, campers or any trailer whose tongue is within the 5000 lbs weight limit. This jack which features hardened steel gears makes it the strongest among others you can expect. Constructed of heavy-duty alloy steel and the hand grip, the tongue ensures not only a reliable use in the long term but also a simple manipulation during operation. The jack with solid structure is surely a good helper to all travel trailers from utility to boat. Top wind crank with Red Bulldog knob for 2,000-5,000 pound jacks. Patent pending TruTurn 360 system delivers best in class castering performance. Raises and lowers 35 percent faster than the competition with 20 percent more screw travel than conventional jacks. Grease fittings in key locations for easy lubrication. Patented inner and outer tube bushings provide a tight fit and lessen tube drag and a Premium Sharkskin finish for optimum corrosion resistance. Features stylized handles with soft touch grips. 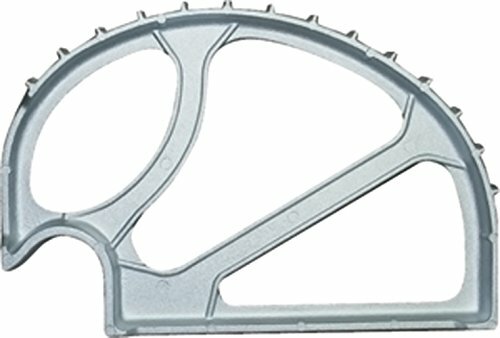 8 inch diameter spoked wheel, handle and wheel are shipped unassembled.